Sometimes you just need a simple lunch that is still fun. We are in the middle of planning a Christmas party, planning leaving for Christmas vacation, finishing up a gingerbread house, and doing about 5,000 other things. I'm sure you can relate. 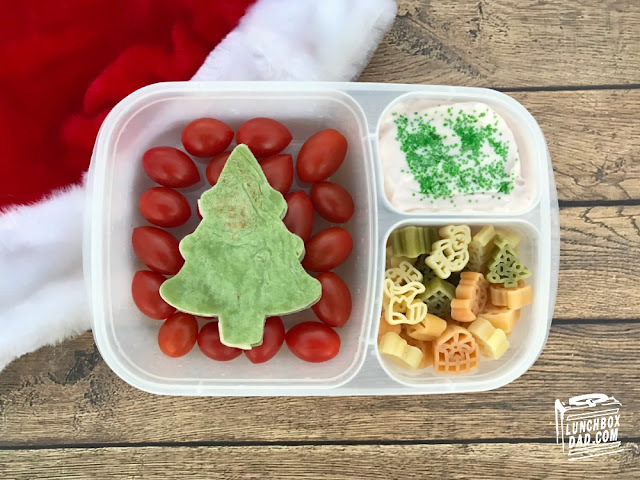 This is why I needed to put together a fun Christmas lunch for my kids that only took a few minutes to create. 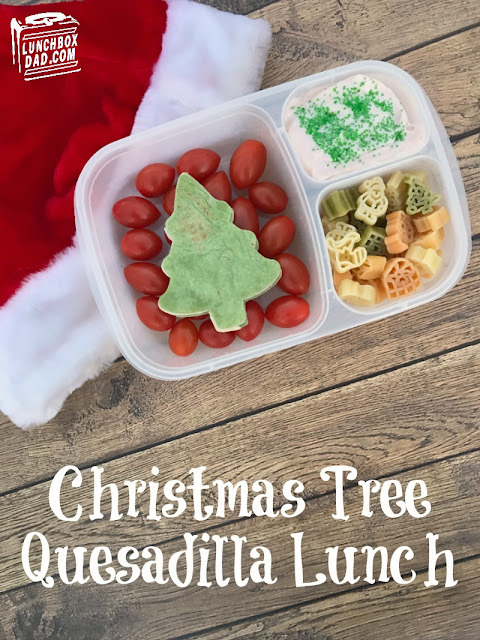 I think my kids are so focused on Christmas that they probably will enjoy this just as much as many of their other special lunches. I hope you have a great week and your holidays are going great! 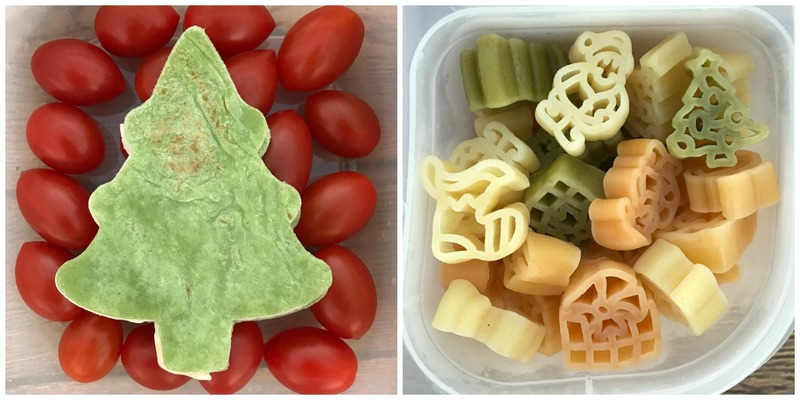 Ingredients: Spinach wrap, cheese, grape tomatoes, strawberry yogurt, green sprinkles, Christmas themed pasta. 1. Prepare the Christmas pasta according to the directions on the package. Place in side compartment. 2. Spoon yogurt into other side compartment. Top with green sprinkles. 3. Cut Christmas tree shape our of green spinach wrap. Repeat. Do the same with cheese. Make into quesadilla. Heat to melt cheese. 4. Drop grape tomatoes into main compartment. Place quesadilla on top. This looks great, we have a vegetarian daughter who would love this lunch. THANKS! !